Gale Bernhardt's training plans have helped tens of thousands of self-coached athletes reach their multisport goals. Every detail of how to train for a triathlon of any distance, an off-road triathlon, or a duathlon is here, including plenty of swim, bike, and run workouts to keep training fresh and breakthrough workouts to make training more rewarding. 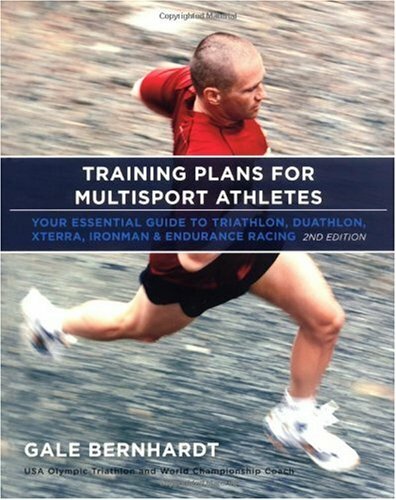 Bernhardt's proven methods are the basis for each of the book's 15 unique training plans, removing the hassle of creating a plan from scratch. This second edition includes easy tips on modifications that allow triathletes to further personalize the plans; a new chapter on 13 Weeks to a Sub-13 Hour Ironman; eight training plans requiring only five to ten hours of training per week; and five training plans to go farther. 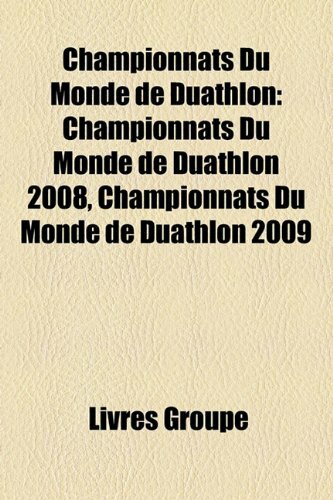 This book has a challenge to suit everyone, from beginners to accomplished triathletes, for those short on training time and those who are training for a faster time. If you're looking for a scientifically-proven collection of training schedules for the sports listed on the cover than this is the book for you. This quickly covers the theory behind effective training and then presents a number of training schedules based on your sport and time available. My first Ironman training schedule I got off the web and although it worked I was never quite sure of the purpose of each day's exercise, how it fit into the schedule for the week, and how that week fit into the overall plan and although I finished I was not happy with the results. Gale's training programs are scientifically proven and you'll understand what each session is for and why you're doing it. Another thing I liked is she addresses a lot of common questions athletes in training have, such as "If I skip a day do I make it up and how? How can I insert a race into my training schedule?" and others. She also addresses nutrition with actual formulas that you can use to calculate how many carbs, protein and fats you should consume everyday and immediately after exercise for optimal performance and recovery. I was not used to workout codes (example "Swim 1:00 E(FORM)") which took some getting used to, and there are explanations in both the front and the back of the book so it requires some thumbing through while getting used to it, but as you ramp up on the syntax all that goes away. Not a big deal but I think it could have been consolidated better. Also - if you are a triathlete I would highly recommend getting her companion book Workouts In A Binder for swimming. The swim workouts in the book are almost non-existent and the Binder is basically a must have. Although I think the book itself should include more workout routines for swimming I would have bought the Binder anyway; it has a lot of different workouts that keep swimming challenging and fun and its waterproof so you can keep it with you in the pool. Overall I love this book and paired up with the Swim and Indoor Cycling binders they are now my IM training bible. 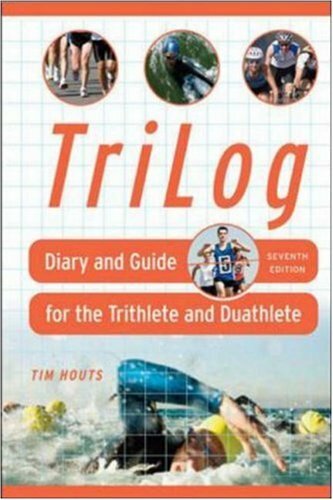 a MUST for anyone serious about actually training for any length tri(as opposed to just winging it).very specific plans included to suit a variey of levels and distances.pair it up w/ Friel's book and you have everything you need to understand what you are doing. This book is great. How the author came up with a way to put so much into one book is beyond me. It does take a few minutes to get oriented to the book's style of coding the workouts, but once you get the hang of it, a whole world of training plans opens up. If you just want training plans and some basic training info, as opposed to excruciating detail, pick up this book. And ignore the reviews that complain about missing info, this later edition is not missing anything. I bought this book after doing multisport for a few years.Being a disproportionately bad runner compared to my cycling and swimming, I knew I'd need to find a training plan that would help me improve.I'm awfully glad I picked up this book.The author has a great variety of plans for those just starting out in multisport to those looking to make the jump from international distance to Ironman. I personally chose the 27 weeks to a half-ironman plan.The plan is incredibly time-consuming (on average about 12 hours a week).The exercises and drills are fun and challenging.I've already noticed a huge difference with the integration of her drills.The weight lifting is a critical part of this training, and the phases keep things pretty interesting. On the downside, I wish she offered more information on Aquabike. USAT has begun pushing this a lot, and I hope she'll consider it for the next edition.The chapter on nutrition was somewhat obvious, I'd highly recommend buying a book on nutrition to go along with this book. I'd definitely recommened this book regardless of your level of fitness.I think next year I am going to try to the Joe Friel book, but I'm certainly happy I picked this one up this year. Deciding to enter your first triathlon is a headymoment--you're ready for the challenge of a swim-bike-run race andpumped to get your body training. Chances are, though, that you'reexperienced in only one, maybe two of the sports. How do youincorporate the others? What kind of equipment do you need? How oftenshould you be practicing each sport? And what if you're a completenovice, a wanna-be athlete who has not done any of the sports,and you want to enter a triathlon to motivate yourself to get intoshape and improve your outlook? Steven Jones, M.D., a professor ofpreventive medicine and a successful triathlete, has all the answersand reassurances you'll need in his down-to-earth book, updated in1999, Triathloning for Ordinary Mortals. As he says in hispreface, his book is for the person "who wants to engage in a new anddifferent athletic experience without turning the rest of his or herlife upside down in the process and wants to have fun doing so. "Focusing on the "marathon-equivalent" triathlon, which is a1.5-kilometer swim, a 40-kilometer bike, and a 10-kilometer run(although he does have a brief chapter called "Doing the Duathlon andGoing Long"), Jonas helps you decide if a triathlon is right for you,gives his own personal history of how he went from a nonathlete to aracer, and advises on how to pick your first race. Great book.I use it as a guide and review before my tri's. Well written and interesting reading.The author was a participant at one of my first tri's. He is amazing. 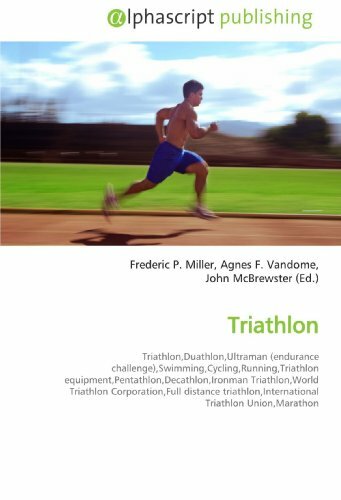 If you've been wanting to get into triathlon, but you don't know where to start, this book is full of programs for you to get started on. NOTE: This review applies to the FIRST EDITION.I just found out there is a Second Edition.I will oder and review it forthwith. 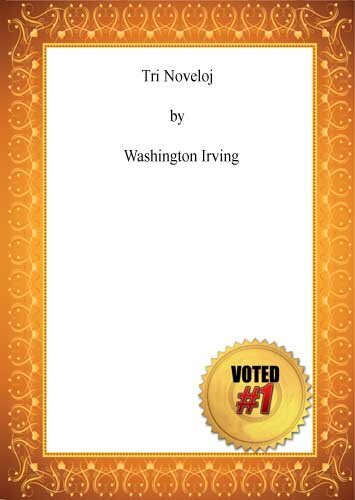 I rated this book 4 stars because it is an old 5 star book. 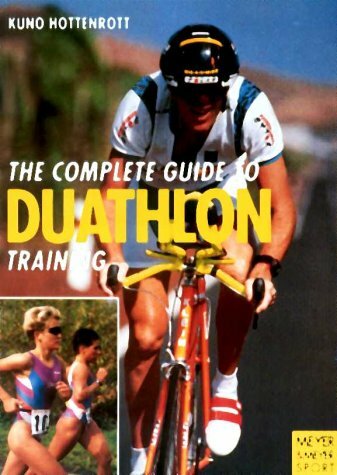 First, this book is for rank beginners.If you say, "Gee, I want to try this cross-training thing called a triathlon . . .um, where do I start? ", then this is the book for you. 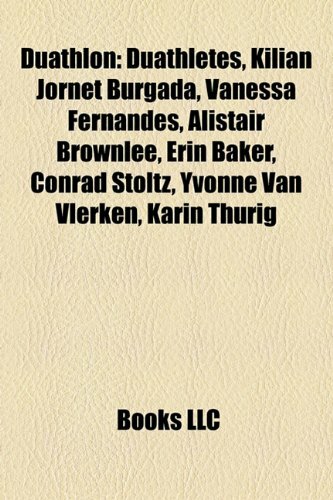 Second, the book IS DATED.It was originally written in 1984 and updated in 1996.A lot has happened since then; distances have been standardized, new equipment and techniqes have evolved, advances in nutrition and kinesiology. 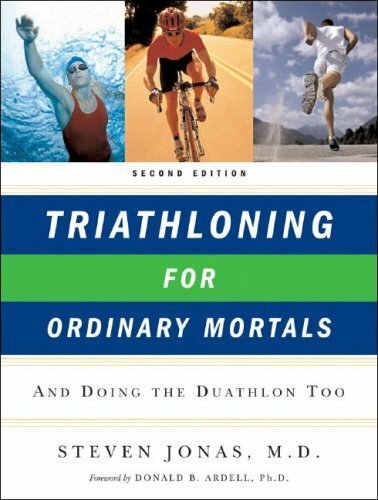 "This book is for you if you an average recreational endurance athlete of modest ability who would like to do a triathlon of modest proportions [Olympic].It is also for you if you are not yet 'average recreational endurance athlete of modest ability' but would like to become one, with the goal in mind of doing a triathlon of modest proportions'" . . .This book is not for you if your ambition is to do an 'Ironman' triathlon." Phase One is a three month prelude to developing an aerobic base, to get you used to exercising.Phase Two is a six month program to get you sufficiently fit to train for a triathlon.Phase Three is a three month program to COMPLETE a triathlon. The nutrition and equipment discussion in the book are dated.However, the advice he offers, such as going to a specialty shoe store to get fitted, is not. 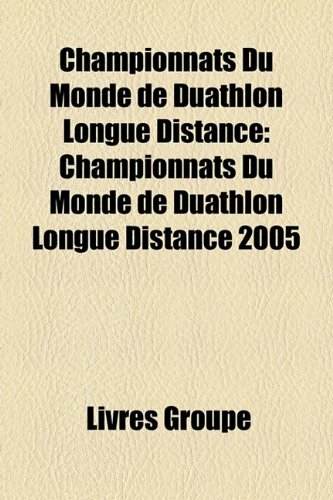 As to counting minutes vs miles, in one of the previous reviews, the BEST way for an amateur to build thier aerobic capacity is over time.Miles work best for people who are already there and have advanced beyond what this book may teach. You need to practice technique and intervals and that is beyond this book.I reccommend the 12 week walk/run program offered by the British Columbia sports medicene group a replacement for the run program. I really enjoyed reading this book 5 years ago and again now.Science and technology have moved on, but sage advice is still golden. I bought this journal hoping to have a great place to record my workouts. That is not what I got. The space is limited, and I feel like I need to take a class in journaling the Joe Friel way. I only bought this journal, because I had read one of books and loved it. I quit trying to use this journal and went back to my old fashion way of using a regular journal. A diary is supposed to allow me to record my personal information.By adding the irrelevant photos and so-called motivational quotes, they have reduced the space for my personal information even further. I used the first edition for four years.At least I was generally able to squeeze in the essentials of my workouts.However, the new edition has less space available for each day, and still only room for two workouts.The space for each workout is much less than adequate, and forget ever trying to squeeze in a record of more than two on any day. Do you ever workout more than twice a day?Then, skip this product! Good diary, cannot write on flap!! I am a new multi-sport athlete who LOVES to collect data. This diary is perfect; it doesn't provide tons of space for each day, which forces me to think about what I really want to include. My main complaint - it has an outside flap, on which you are to write your goals and objectives. I have tried many different pens and cannot get any to write on the foolish thing, so I have HALF of each of my goals and objectives on the flap and then they trail off to nothing. Less than motivational! Besides that, though, the diary is very nice. I already have Friel's Triathlon Bible, though - without it, I would be pretty much lost. He DOES give brief explanations of how to plan a season in the diary, but not much more than that. I've been using the Inside Triathlon journal for 4 or 5 years, and have been pleased with it.The most recent edition, however, has a new format that I just don't like.The editors stuck goofy pictures at the top of each page, and took space away from the notes section.There is now hardly enough room to even describe my route, let alone describe the workout in any meaningful way.I am so disappointed that I doubt I'll buy this journal again.